Duluth Harbor Cam: New Weather Station installed! I have installed a weather station atop the pole that holds the canal cam and bridge cam at the Marine Museum in Canal Park. The weather data is transmitted wirelessly to a receiver and loaded up to Weather Underground. There is a weather station graphic on the left-hand column of this website that links to our station on Weather Underground. I still need to install a range extender to strengthen the wireless signal, but it seems to we working OK now. Awesome as always! Thanks for your efforts!! Great improvement Dennis! Many thanks. 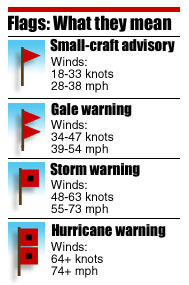 It will be fun to check the wind speed during the gales of November. Thanks Dennis! Thanks for the update Denny. Nice job doing these projects to keep the web page interesting. Sweet! This site is making great upgrades! Denny, how about you sharing specifically which weather station you chose? Greg, I put up the Acurite 5 in 1 Weather Station. I have has one at my home for several years and it has held up very well. Dennis do you know what happened to the Harbor lookout map. must be a glitch with the harborlookout map. -- you can use https://www.marinetraffic.com until it get back up.